SNS is a leading provider of shared storage hardware and software technology for Mac, Windows & Linux workgroups. Since 1998 SNS has been advancing workflow efficiency for the media and entertainment, broadcast, post production, digital content creation, game development, and education and government marketplaces. Linear Tape-Open (LTO) with Linear Tape File System (LTFS) archiving technology is the most cost-effective and reliable long-term storage option for the immense amounts of file-based content generated by media pipelines. DNAevolution combines nearline and archive storage directly on LTO tape to offer a dramatically more cost effective infrastructure, with speeds ten times faster than network-based solutions. 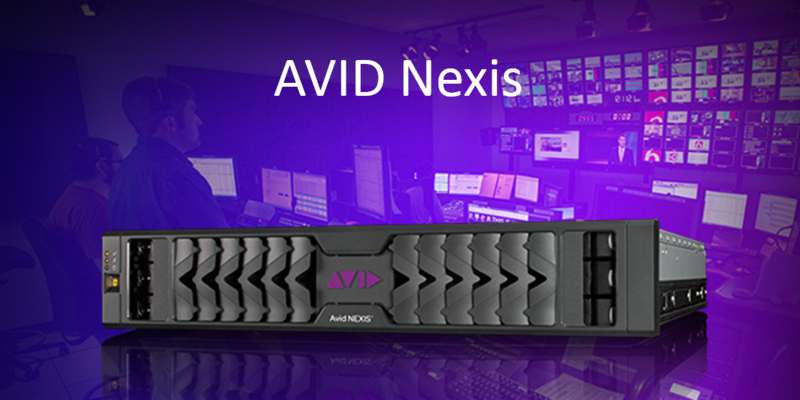 When projects or business needs change, Avid NEXIS can be flexibly reconfigured on the fly without impacting production. Intuitive software tools enable you to reallocate bandwidth, add or remove storage capacity, dynamically resize workspaces, and increase or decrease media protection quickly. Featuring extreme power, innovative and future-proof design, a relentless focus on reliability, and unprecedented security. VDS carries Best-in-Class Workstation and Portable Computing Systems in support of a broad range of markets. Go further with more options, service, and support enhancements tailored to meet exact workflow needs. Come see us at NAB show! VDS is your best source for the very latest Z-series HP workstations!